What are the odds of finding three $20 bills in two days? This story doesn't sound believable. But it's true. Yesterday while walking to work I picked up a $20 bill on the edge of a puddle on the street. The rest of the way there I tried to remember a time when I'd found a twenty before. I couldn't think of one specifically, but I feel like it may have happened 2-3 times previously in my life. I got to work and began setting up the bar, and while laying the mats down on the floor I came across another $20 bill. I was shocked. People had been talking about the fact that it was Friday the 13th and a full moon put together, and I wondered if I was having some sort of reverse good luck thing going on. I've been alive for 13,000 some odd days. I'll subtract 1,000 of them for me being too young to find money on the ground. If it'd happened to me three times before, that puts the frequency at roughly once every 4000 days. Using that number, by my calculations the chances of finding three $20s in two days should be in the neighborhood of 1 in (4000^3) / 2, which is 1 in 32 billion. And yes, I'm 100% certain that it wasn't me dropping the same bill and picking it up again. 1. You have to be really aggressive. I had a great spot standing right next to Stevens with my phone out and ready to record, but then a very small women somehow snuck in underneath me and boxed me out. Luckily I'm tall and my phone is awesome, so I got good stuff anyways. 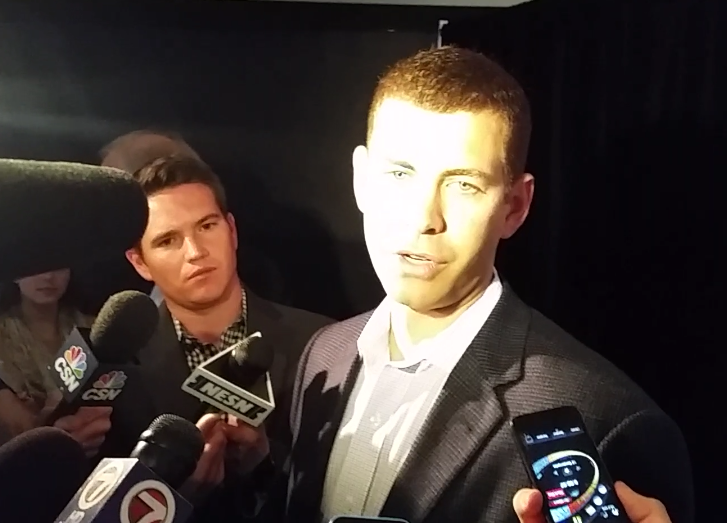 "I would first of all, ask Danny [Ainge] that. But my impression from all of our discussions is that with both picks, six and seventeen, we take the best available player." Then he looked at me to see what was next, and all I had was "Thank you." 3. Think about what the answer is going to be ahead of time. It felt like a good question when I came up with it. 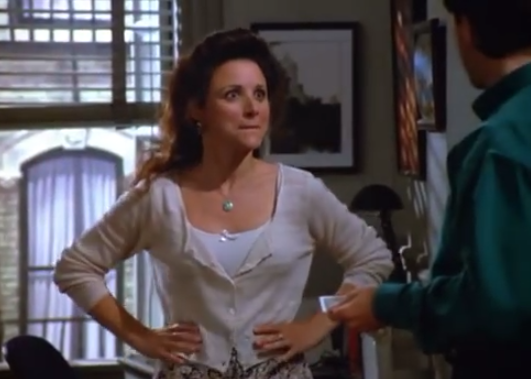 But as soon as he said that I realized there was no way his answer could have been anything else. The Celtics are playing a chess game right now, and there's zero chance Stevens would come out and say in a press conference what they intend to do with their lottery pick. I'll have many more quotes from Stevens and a video clip or two in my article for CelticsLife tomorrow. Brazil has won 5 of the last 14 World Cups. The event has been held 19 times, with the home team winning an astounding 6 of them. Only teams from Europe or South America have ever won the Cup. 6 times it's taken place in South/Central America, with a South American country winning all of them. 10 times it's been held in Europe, with European teams winning 9 of 10. The lone exception was Brazil emerging victorious in Sweden in 1958. 3 times it's been held in other places (USA, South Korea/Japan and South Africa) and Brazil even won 2 of those. If you're determined to pick somebody else, go with Argentina, who's won it twice before, opens in an easy group (click on the photo), and also fits some of the above criteria. 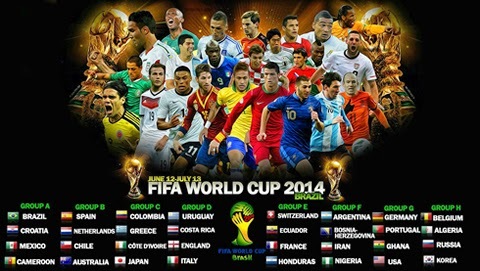 And as much as I usually don't enjoy watching soccer, I am pumped for the World Cup. Think of it like the Olympics; nobody cares about gymnastics, swimming or figure skating at any other time either. And similar to playoff hockey, it's hard to match the intensity of a big soccer game. One goal means everything, and you never know when it might happen. The Red Sox began the season with five outfielders: Shane Victorino, Jonny Gomes, Daniel Nava, Jackie Bradley Jr. and Grady Sizemore. If three of the five of them were playing well, my guess is the Sox would be in great shape right now. Unfortunately they've all sucked. I don't blame you for not recognizing this guy. In my efforts to be a better writer I avoid using that word as much as possible, but in this case there's really no other way to put it. Boston's anemic outfield is the main reason the Red Sox are only scoring 3.97 runs per game; an enormous drop-off from the club's MLB-best 5.27 average last year. Victorino, Gomes, Nava, Bradley Jr. and Sizemore are a combined 148-for-688 this season. It's really hard to be competitive when you're outfield is batting .215. 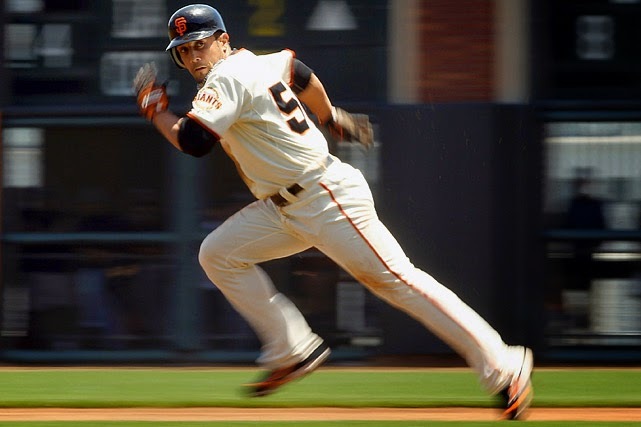 Today Boston signed 36-year-old oft-injured veteran outfielder Andres Torres to a minor league contract. Torres is a career .242 hitter who's best season was with San Francisco in 2010, when he batted .268 with 16 home runs, 63 RBI and 26 steals. Replacing Sizemore with an older/worse version of himself doesn't seem like the answer. Maybe Boston just needs to keep turning infielders into outfielders? It's worked so far for team MVP Brock Holt, who's 7-for-13 in three games as a left fielder since making his major league debut in the outfield on Sunday, as well as for top prospect Mookie Betts down in Pawtucket (check out my Bleacher Report article). How creepy are these mannequins just hanging out in a revolving door? I was at a wedding this past weekend, and admittedly I'd had an adult beverage or two. 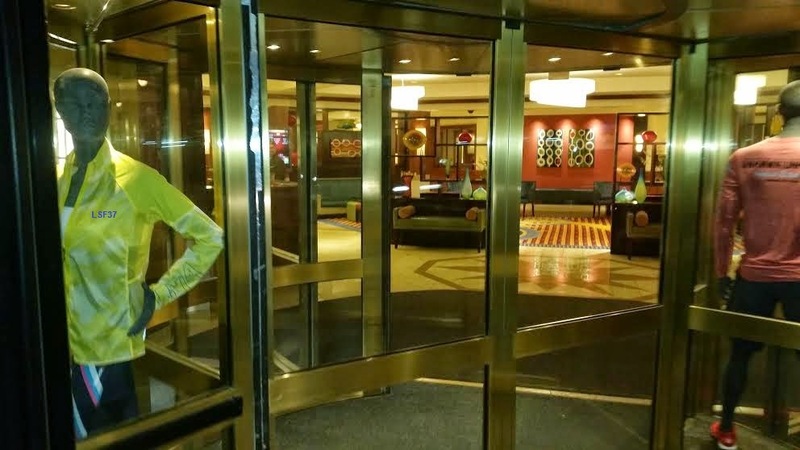 But I can't be the only person to ever bump into somebody in the revolving door of this hotel lobby, then realize when you go to apologize that it's not even a real person. The mannequins just stay there spinning around, over and over again, all day and all night. They freaked me out a bit. The Red Sox have completed 62 games to this point, with exactly 100 remaining; 38% of their season is over. Brock Holt has taken the field in just 28 of those contests, but he's been far and away Boston's best player since becoming an everyday fixture in the lineup. Holt is hitting .339 over 115 at-bats. Xander Bogaerts has the next highest average on the team, 46 points lower at .293. The Red Sox began the season struggling mightily to find a leadoff hitter. Daniel Nava went 3-for-20 (.150) in that role. Grady Sizemore was 4-for-43 (.093). Dustin Pedroia stepped in and batted .268 in 112 at-bats, but Boston missed have him in the heart of the order. Holt is hitting .350 in 17 games after taking over at the top. 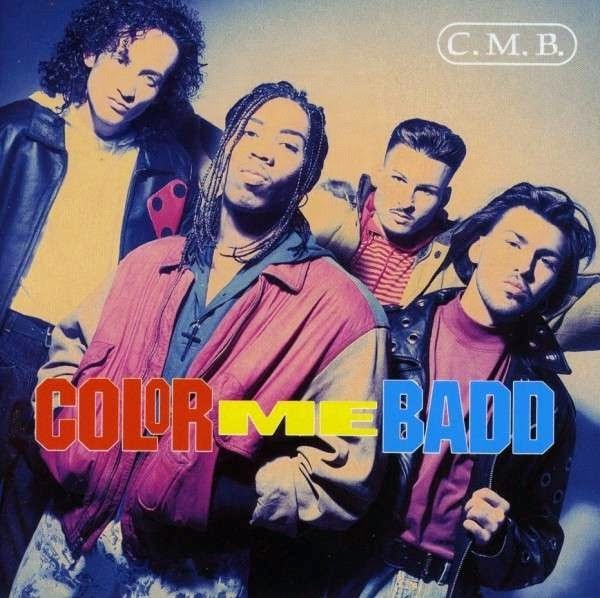 Trivia question: Can you name Color Me Badd's two #1 hits? I bet not, even though the above title is half the answer. "It was the band's second number-one single in the US, and also their last one."